British aid worker David Haines is the latest westerner to be executed by ISIS. Earlier today images were released hauntingly similar to those taken of murdered journalists James Foley and Steven Sotloff. After hearing the arguments made against even showing the pictures taken just before the executions of the 2 journalists, I’ve decided that starting today I am taking my own personal stand. I will do my small part to no longer give these murderers the soapbox they so sickeningly crave. I will not feed into their hate, I will not contribute to the fear they are trying to generate, and I will encourage everyone to follow suit. I will not show them even the slightest amount of respect and I will only give honor to the men and women they murder without conscience. My friends, these are evil and scary people, but rest assured their days are numbered. In their efforts to destroy civilization as we know it I believe they will galvanize the good of the world to exhibit force not seen since 1945, and maybe even surpassing that element of force. The time will come when they push the wrong button on the wrong leaders nerve and then they will be hit with force they never even imagined. It might be Israel who does it, it might be the U.S., it might even be Britain, Russia or China. But it will happen. It’s always darkest before the dawn. It is yet to get darker, but there is a dawn on the horizon. Of this I am sure. 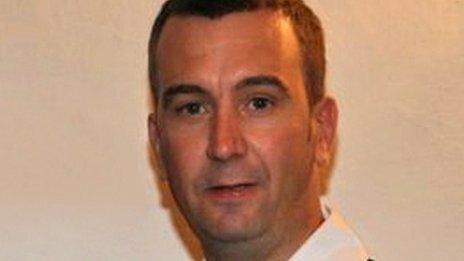 David Haines left behind a wife and 2 children. He was 44. May he rest in peace.